In the latest update of Yeh Rishta Kya Kehlata Hai 2nd November 2018, Akhilesh annoys the family. 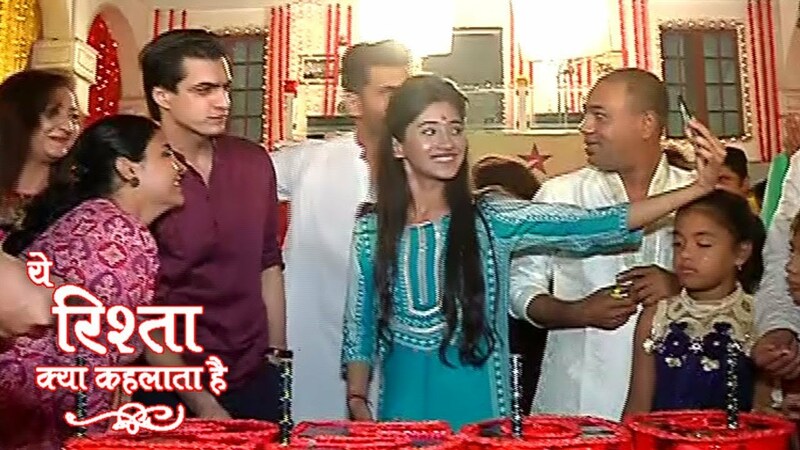 Today’s latest update of this serial starts with Kartik and Naira sweetly arguing. Akhilesh asks Samarth to have food. He said that I am done with these things and relations. Samarth smiles. Kartik surprises because Naira was romances with her. ‘O Morey Saiyyan’ plays the beautiful song Naitik said that I can not think of Akhilesh’s big chance, you should not take the tension in this state. Kirti said that I knew, I just think of the matter, you can help me so please suggest something related to this problem. You can play a video game with me. He sare sure, I am ready to play. They play games. To saw thus Naksh was little bit get angry and said that what are you guys were doing, he gave the order to everyone to go and sleep. Naitik and Kirti said that we are not sleepy right now, they said that we are having some more fun. Naksh says that it is good for your health, you are not agreeing to me. I think that I having fun. He switches off the game and goes. Dadi recalls someone’s words. She worries about seeing someone. She screams and switches on lights. She does not see anyone. Samarth is really outside the window. It is morning, Naira wakes up by Suwarna’s call. Naksh asks that why is Kartik busy. Kirti said that I spoke to him, he fed medicines to Naira, he has tolds me the same. She feels sorry to lie to him, she was very sad because of this. She said that if I did not lie, I would have worried, this is not good for them. Everyone sees that Akhilesh was doing a puja. He goes to take blessings from Dadi. Dadi said that I can not bless you. She cries. Katik and Naira ask Dadi to bless Akhilesh. Samarth smiles to saw all this. Next articleQayamat Ki Raat 3rd November 2018 Written Update Episode: Gauri kills the Kalasur.